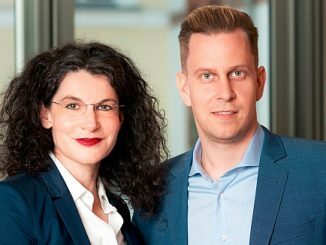 Ardian sells ADA Cosmetics Holding GmbH to Moonlake Capital. Ardian, a world-leading private investment house, announced today that it has entered into an agreement with Moonlake Capital to sell ADA Cosmetics Holding GmbH (ADA International), Europe’s leading manufacturer of high-quality hotel cosmetics. The management team will remain shareholders of the company. Financial terms will not be disclosed. Ardian Expansion Fund III acquired the company in 2014. Since then, the business has grown via buy-and-build strategy through the acquisitions of Scandinavian Amenities, Pacific Direct and RDI Malaysia, as well as through significant organic growth. As a result, ADA International has advanced from local market leader in the DACH region to the market leader in Europe. It has also significantly strengthened its presence in Asia and the Middle East. Under Ardian’s ownership, sales have more than doubled to over EUR 110 million with profitability increasing steadily. The customer base has grown from around 15,000 to over 25,000 hotels, and the workforce has doubled to around 700 employees. ADA International was founded in 1979 in Kehl, Germany. Its core business is the production and sale of high-quality personal care products such as shampoo, shower gel, soap, body lotion and accessories for the hotel industry. In addition to its own established brands such as Naturals, Pure Herbs and Hydro Basics, ADA International’s product range also includes hotel cosmetics products from leading international brands such as Chopard and Bulgari. The business model is based on products that meet the highest quality standards and longstanding customer relationships that generate repeat revenues. ADA International’s customer base ranges from independent hotels to international hotel chains in the three, four and five star segment. In addition to the hotel industry, ADA International also services cruise ships and airlines. 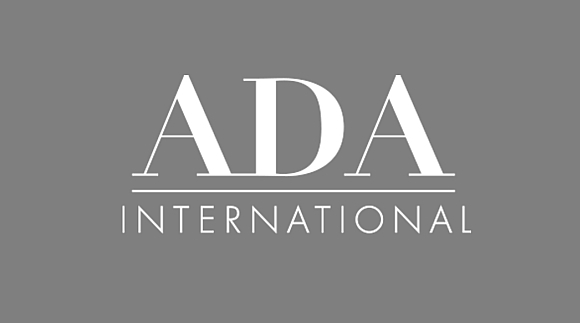 ADA International develops, produces and sells high-quality hotel cosmetics and innovative dispenser solutions to three, four and five star hotels, internationally. Based in Kehl, Germany, the company has around 700 employees worldwide and is active in more than 50 countries. ADA International is one of the leading suppliers in this segment with a strong product portfolio of trendy lifestyle concepts, exclusive luxury and designer brands as well as modern dispenser systems. Ardian is a world-leading private investment house with assets of US$72bn managed or advised in Europe, the Americas and Asia. The company is majority-owned by its employees. It keeps entrepreneurship at its heart and focuses on delivering excellent investment performance to its global investor base. Holding close its core values of excellence, loyalty and entrepreneurship, Ardian maintains a truly global network, with more than 530 employees working from fourteen offices across Europe (Frankfurt, Jersey, London, Luxembourg, Madrid, Milan, Paris and Zurich), the Americas (New York, San Francisco and Santiago) and Asia (Beijing, Singapore, Tokyo). It manages funds on behalf of around 750 clients through five pillars of investment expertise: Funds of Funds, Direct Funds, Infrastructure, Real Estate and Private Debt. Moonlake Capital is a newly founded investment firm based in Austria with an associated office in the UK. It combines decades of entrepreneurship with extensive Private Equity investment and execution experience. It exclusively invests its own funds. In partnership with strong management teams, Moonlake Capital seeks to contribute to the sustainable and successful development of its investments. With permanent capital, the firm can be a long-term partner for its portfolio firms. Through its enduring partnership and capital commitment, Moonlake Capital is able to support its investments in their quest to realise their full growth potential. The firm strives to be a socially responsible investor, working in partnership with customers, suppliers, employee representatives and unions.